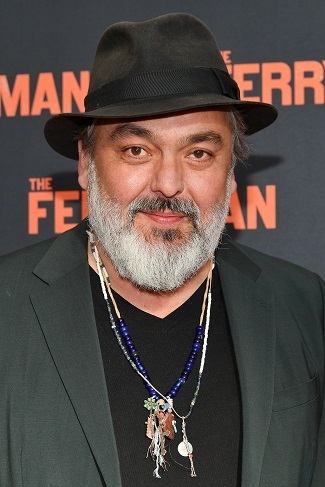 Bullseye with Jesse Thorn: Playwright Jez Butterworth on his latest work "The Ferryman"
Jez Butterworth is a screenwriter and playwright. His works make up a pretty eclectic resume, including: the science fiction film "Edge of Tomorrow," the mob drama "Black Mass" and even the James Bond film "Spectre." On the stage, he's written comedies and dramas that cover topics like murder, music and war. His latest play, "The Ferryman" is on Broadway right now. It tells a powerful, affecting story about death and loss. It's set during The Troubles: the decades long conflict over Northern Ireland that killed thousands. It tells the story of the Carney family, who lives in Derry, in Northern Ireland. Authorities have just found the body Seamus Carney, who's been missing for almost a decade. We find out early on that Seamus was killed by the IRA, and the family is now left to deal with the fallout of that event. The play is unique in a lot of different ways. At one point, there are 21 actors on stage at the same time, one of them is an infant. You'll also see a live goose and a rabbit – it's a visceral, uncommon theater experience. Jez will tell us all about his latest work, including what it's like to work with animals live on stage. He'll also explain why writing films come pretty naturally to him but why writing plays can be uniquely challenging. "The Ferryman" has been extended up until July 7, 2019. Make sure to check it out if you're in New York.